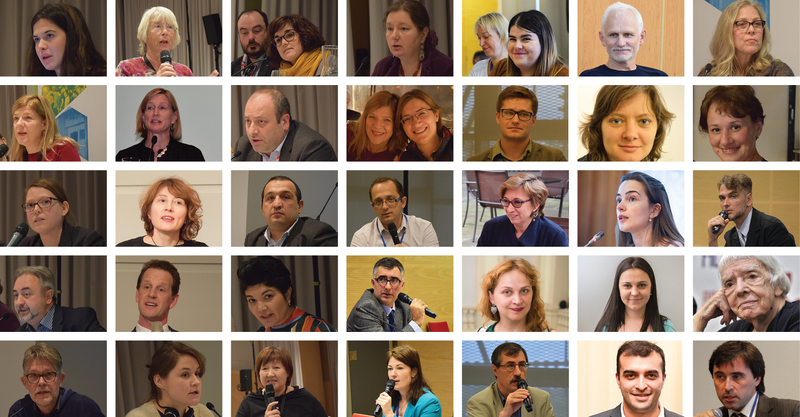 The Civic Solidarity Platform was created to bring together nongovernment organizations committed to improving the human rights situation in Europe, Eurasia and the US. It provides a common space for these groups to share their experience in conducting research, advocacy, and public organizing and to find new channels of communication and improved methods for working cooperatively. Its aim is to serve as a conduit through which civic activists can build alliances, strengthen mutual support and solidarity, and improve their influence on national and international human rights policy. The Civic Solidarity Platform was born out of recognition that nongovernment groups need to work in a more effective and coordinated way in order to counteract negative trends in the field of state protection for human rights and defense of democratic principles. During recent years, members have observed that narrowly defined state interests have prevailed over concern for human rights principles and democratic values in international politics, leading to public cynicism toward democratic institutions and impunity for governments that commit rights abuses. Working groups have been formed to undertake focused and coordinated action on specific human rights topics, such as security and human rights and racism, xenophobia and intolerance in Europe. Civic Solidarity Platform members are also working collectively to dispatch teams to monitor unfolding crises in the region and ensure a strategic and coordinated response to human rights developments.